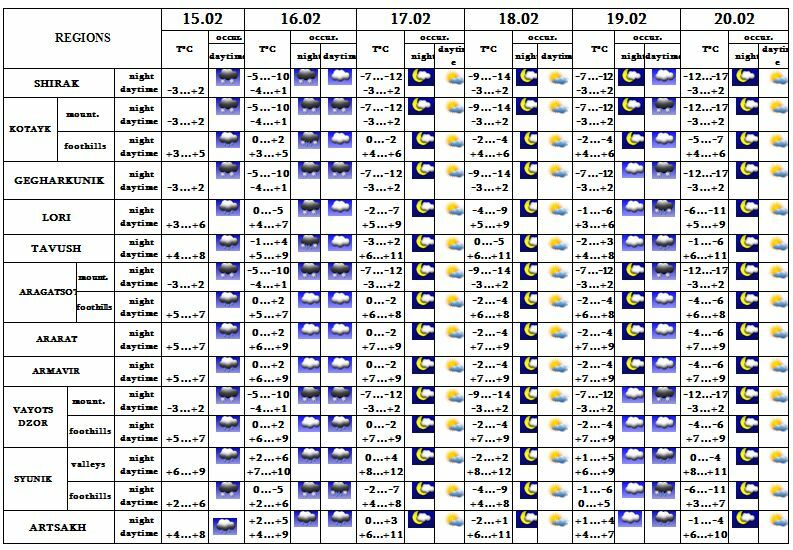 In the daytime of February 15, at night of 16 in most regions, in the daytime of 16, 19 in separate regions precipitation is predicted, in mountainous regions precipitation will be in the form of snow, in foothills it will be in the form of sleet, in valleys - in the form of rain. In the daytime of February 15, at night of 17 and 18 the air temperature will go down by 3-4 degrees. In the daytime of February 15, on 16 precipitation will possible. On February 17-20 no precipitation is predicted.